What is harder, playing Batman or U.S. President John F. Kennedy? If there was one man who knows for sure, it would be Bruce Greenwood, who portrayed the Dark Knight Detective on Young Justice as well as in the animated movies Batman: Under the Red Hood and the upcoming Batman: Gotham By Gaslight, based on the graphic novel by Brian Augustyn and Mike Mignola. Greenwood has also played Kennedy in 13 Days, and played the President more generally in both the second National Treasure and Kingsman movies. We asked him about the challenges of portraying the two icons. After the screening, Greenwood was asked onstage whether he preferred playing Kennedy or Batman. He joked that "if we're doing a sequel," he would say Batman. 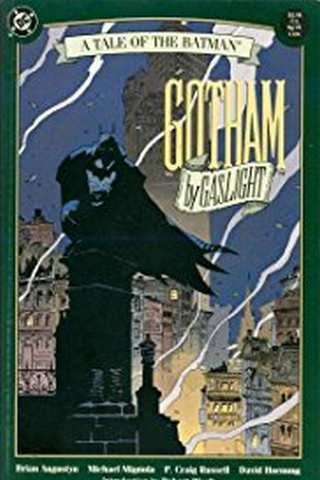 The Gotham By Gaslight comic spawned a sequel, and cast and producers were aware of that when talking about potential future plans. Greenwood expressed a hope for one, and told ComicBook.com that he was not sure why he was selected for this version of Batman, but that the script sold him. “I read the script and I went, 'ooh, this is kind of a different vibe,' right?” he said. As for this weekend's trip to Washington, D.C. to promote the film, Greenwood said that he rarely gets to attend big fan gatherings, in spite of his best intentions to do so. Batman: Gotham by Gaslight is directed by Sam Liu and stars Bruce Greenwood as Bruce Wayne. Jennifer Carpenter co-stars in the film, lending her voice as Selina Kyle. The movie, based on DC's first Elseworlds graphic novel, will be available on-demand on January 23, 2018, and on Blu-Ray February 6.